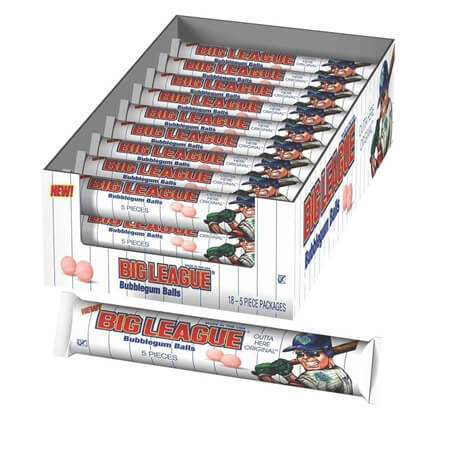 Big League Chew Original Gumball Tube brings you the original taste of the traditional big league chew gum but in gumball form. 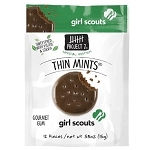 We all know and instantly recognize those pouches of shredded gum bits that we grew up on but now there are more forms of that favorite gum/candy. This tube holds five of the 3/4 inch sized gumballs in the original flavor. 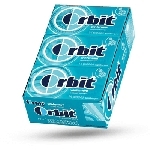 We also carry these in a grape flavor and both are amazing and yummy gum. The display box holds eighteen tubes which are great for holiday baskets, birthday party gift bags, baseball themed events and just for everyday enjoyment. Gumballs don't have to be individually wrapped due to the hard coating which protects from sticky fingers to a large degree and makes the wholesale gum a great item to keep in your desk at work to enjoy as cravings hit and as a stress reliever on those really hard days. These gumball tubes are a fun addition to the gum section of your store so make sure to order them today!